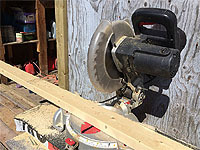 After door measurements, cut the shed door parts. Cut top rail, bottom rail, middle rail and brace. 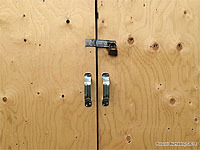 Put down the rails of the door frame on the plywood panel. Trace the door line depending the sizes of the door and cut the shed door panel. 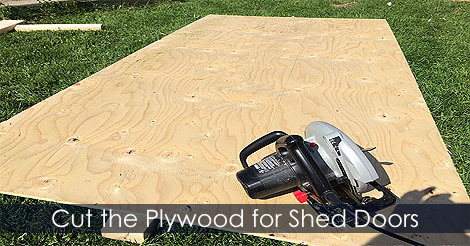 Learn how to cut a plywood sheet to make a shed door.